Talented bunch you lot, aren't you? 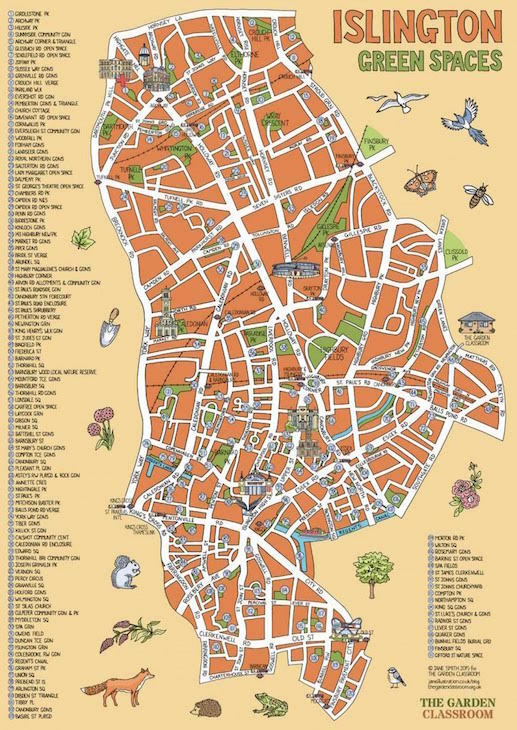 When we put out a call recently to get Londoners creating hand-drawn maps of their own areas of London, we were impressed by the response. These latest offering are by Jane Smith of JaneIllustration. 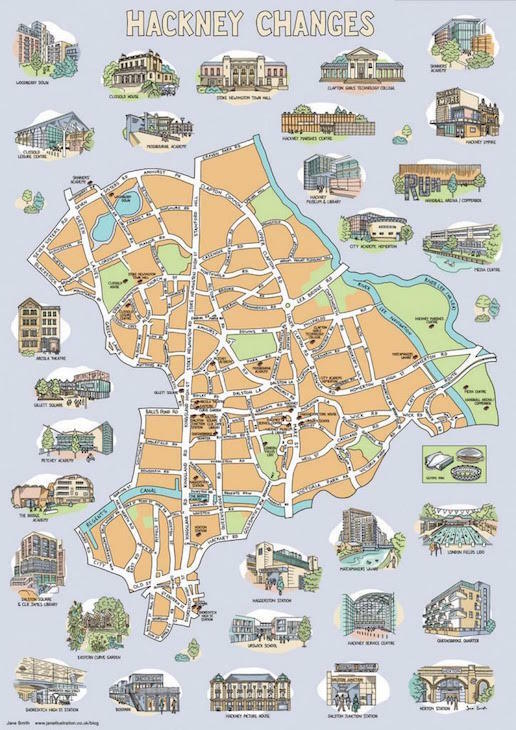 We recommend taking a look at her website for more of her work — it's not just London that she covers (and it's not just maps either, check out her east London drawings). The map of Hackney new builds and refurbs chronicles changes in the area.Click for larger version. 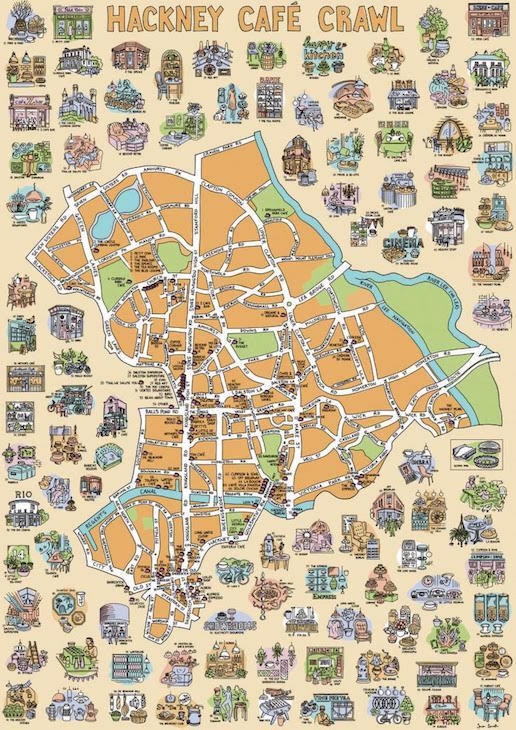 Never starve in Hackney with this map of cafes in the area, commissioned by Hackney Museum. Click for larger version. 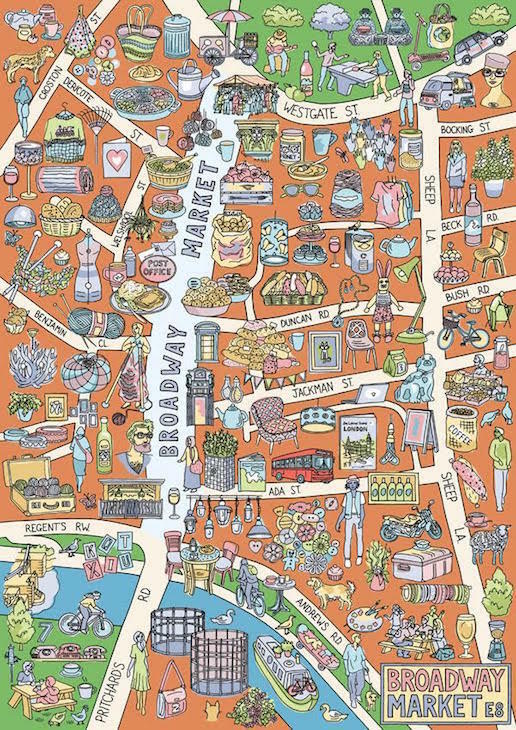 Broadway Market - we love the whimsical detail of this one. 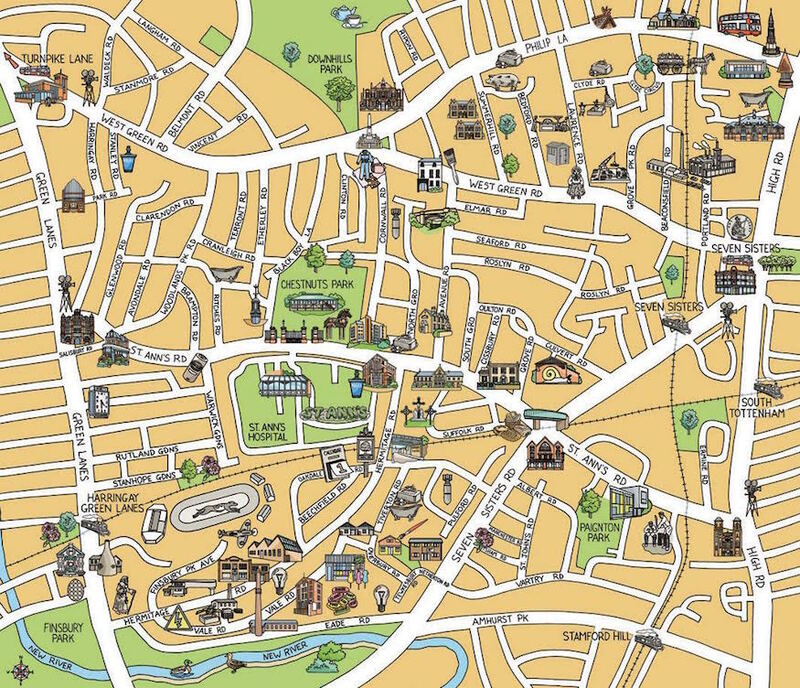 Has Jane's work inspired you to draw you own map of an area of London? Email your efforts to hello@londonist.com, and we'll publish our favourites. Need more inspiration? Find it here and here.